As of late there has been a bit of circulation in the wine trade about “English Sparkling Wine“, well, the name anyways. It’s a name that seems has been come about to as a compromise wherein few are terribly thrilled about it but it’s the best of the possible contenders for the moment. For some time there has been an effort to create a Sussex appellation but this is contentious as it is but one of the regions in England (not to mention Wales) where sparkling wines are now being produced. Thus it’s seen as fracturing up a brand as it’s just getting its legs and so we come back to “unifying”, English Sparkling Wine name. The problem with this name as I see it (and I quite like a lot of the wines I’ve tasted to date) is that it’s not really a name, it’s two adjectives and a noun. This works in a broad sense as in, “We need to call this something other that, ‘bubble stuff’.” but it does little to create a brand. 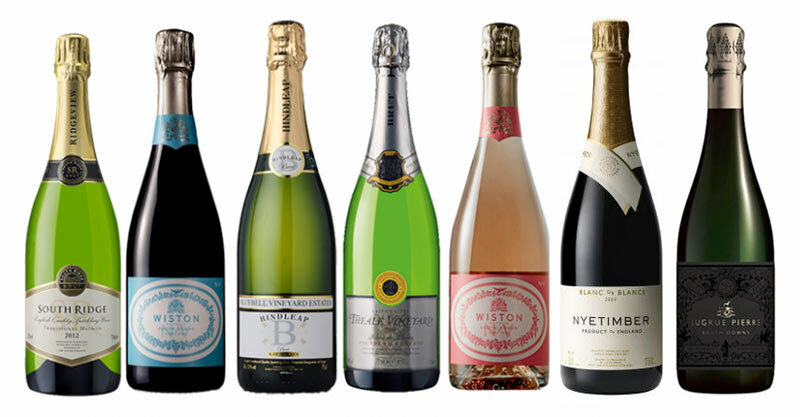 After all, there’s a reason we all know Champagne more so than the “Crémant de” sparkling wines of France, or that Cava is more popular than Clàssic Penedès. People like a single word and they want it to be catchy, memorable, and specific. An American menu coined British Fizz. This really has the same problem as English Sparkling Wine, but just makes it one adjective shorter. Whatever you may think of her, the Duchess of Cornwall was not impressed either. Portmanteaus have served us well in the past (think email) and thus sparkling+english=sparklish doesn’t pull any punches as to what it is. Unfortunately this cuts out Wales but this is essentially the first option: create a whole new name. I’m guessing that those involved in this in the UK have tried going down this road which is why nothing has emerged given that it’s quite tricky and often these develop spontaneously. In English, when we need to name something fancy, we usually resort to French. For many people, all sparkling wines are still just “Champagne” to them. And of course we have sommeliers, not wine servers. This option doesn’t exist for English Sparkling Wine as going French is a complete dead-end as that’s exactly what they’re trying to get away from. So, when French isn’t an option, where do we English speakers go? Latin, from which I propose “laetus” which means, “colorful, joyful, glad, pleasing, adipose, or sparkling”. Seems to fit the mood well. Also, it’s a nod to Londinium as London was known back in the Roman Days when apparently wine was indeed made. I hadn’t really given much thought to this angle until seeing this article by Jancis Robinson the other day about wine made from grapes at Windsor Great Park. This got me thinking to the fact that Britain’s longest-living monarch has seen an incredible sea of change during her life but did Elizabeth II ever think that she’d see good sparkling wines being produced in her native lands? Obviously, it ranks pretty far down in terms of the more significant events from her life but a name such as “Lizzy” readily pays tribute to her reign. That and it still carries the “L” of nearby London and rhymes with Fizzy. Unlike the British Pound, I certainly wouldn’t recommend re-branding this if and when Prince Charles takes up the throne as asking for a bottle of “Charly” sounds outright wrong. Anyways, food for thought and ideas that were percolating in my head during my season of bubbly. If you’ve any others, feel free to toss in your hat down below. I’m guessing that a considerable section of the British establishment would recoil at “Lizzy”, seeing it as an offensively colloquial reference to HRH Queen Elizabeth II etc. etc. etc. Regardless of what I think of all the different names that have been flying around, I find it interesting that there is at least a proper discusion taking place as it becomes clearer that an English wine does deserve its place in the international wine world. If I draw a comparison to Belgium, which likes to style itself as and up-and-coming wine nation as wel, we are way behind as we do not even have an agreement on basically anything that would help us marketingwise.